In honor and tribute to all physician leaders, this is for you..... Top Ten Tips for all Physician Leaders! Complete the form below to get your free copy! 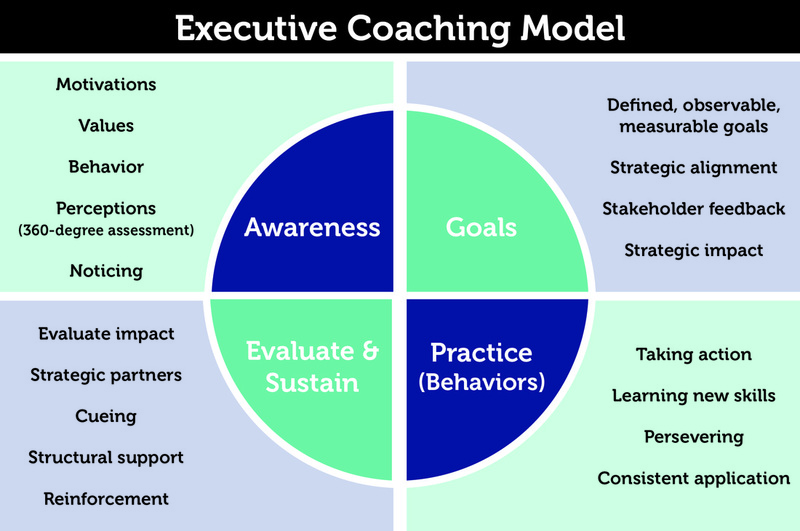 The above article that was posted in the November/December, 2010 edition of the Physician Executive Journal outlines the benefits of executive coaching to physicians. This article was written by my esteemed colleagues at Catholic Health Initiatives. Click on the link to read about how executive coaching can help you achieve success! 1. Creating Self Awareness: What motivates you? What is your passion, purpose and natural power? What is important to you about how you do your work, and build the rest of your life? How are others perceiving you and how do their perceptions differ from your own? What do you notice about what you say you want, and how your current behavior either supports or refutes that? 2. Creating Your Goals: What are your goals and how are you measuring those? What do key stakeholders expect of you? And how are you linking your goals to what matters most to the organization's success? 3. Creating New Behaviors and Skills: As Marshall Goldsmith said: "What got you here won't get you there." What has worked for you in the past may not take you where you need to go in the future. Through self observation, and intentional behavioral practices (such as making clear requests, managing difficult conversations, holding others accountable, saying "no," etc. ), you will develop new and more effective skills that help you become a more effective leader. 4. Creating Sustainable Habits: Changing behavior takes a great deal of courage. Often, it requires us to change our beliefs and attitudes. Partnering with others in our life can help provide real time feedback on how well we're doing in our ongoing journey of development and change. With ongoing feedback from others in our daily life, we have greater chances of sustaining our positive behavior and creating long lasting change. To see a sample of our Designing Leadership Excellence Program, please click on this link.